TS Inter Results 2019 | The Telangana State Board of Intermediate Education (TSBIE) is likely to announce the results for the 1st and 2nd year 2019 intermediate exams soon. According to Telangana Board officials, the result will be declared on Thursday, 18 April at 5 pm. To check their Inter results, candidates can visit the official websites — bie.telangana.gov.in and results.cgg.gov.in. They can also check their TS Inter scores on examresults.net. 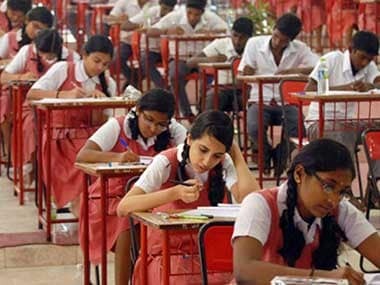 The Telangana State Board conducted the 1st year exams from 27 February to 16 March and the 2nd year exams from 28 February to 18 March. This year, over 9 lakh students appeared for the exams. 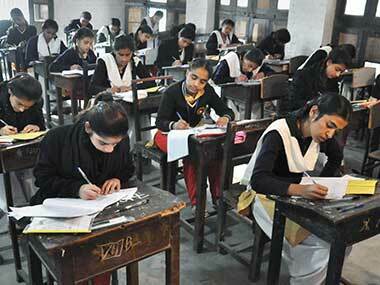 Nearly 4.7 lakh students registered for general exams and 29,000 for the second year (Class 12)vocational exams. Given the large volume of students who are likely to check their results on the official websites, the portals face the risk of crashing on Friday. But candidates mustn't panic. While the temporary glitch on the official websites is fixed, candidates can opt for alternative methods to check their results. TS Inter 2nd year Result 2019 - For general exams, candidates are required to send the message TSGEN2<REGISTRATION NUMBER> to 56263. Similarly for vocational exams, candidates can send a SMS TSVOC2<REGISTRATION NUMBER> to 56263. TS Inter 1st year Result 2019 - For general exams, candidates are required to send the message TSGEN1<REGISTRATION NUMBER> to 56263. Similarly for vocational exams, candidates can send a SMS TSVOC1<REGISTRATION NUMBER> to 56263.